Jaguar's Global Brand Director announced the cancellation of production due to the ongoing global economic crisis, as the carmaker considered that " it seems the wrong time to launch an £800,000 to £1 million supercar." The company expects to take advantage of part of the investment in the C-X75 development by using the the C-X75 technology in future Jaguars. The C-X75 was first revealed as a concept at the Paris motor show in 2010. Its hybrid drivetrain included a pair of gas turbines to power the car once charge from the four electric motors, one mounted at each wheel, had expired. In May 2011 Jaguar confirmed the C-X75, which features the firm's first bonded carbonfibre chassis using Williams F1 expertise, had been signed off for production, albeit without the gas turbines. The original drivetrain had been replaced with a turbocharged/supercharged 1.6-litre petrol engine and two electric motors, mounted at either end of the car, driving transaxles and powered by a liquid/air-cooled battery pack. The combined power figure of the hybrid drivetrain was 888bhp and combined torque 590lb ft. 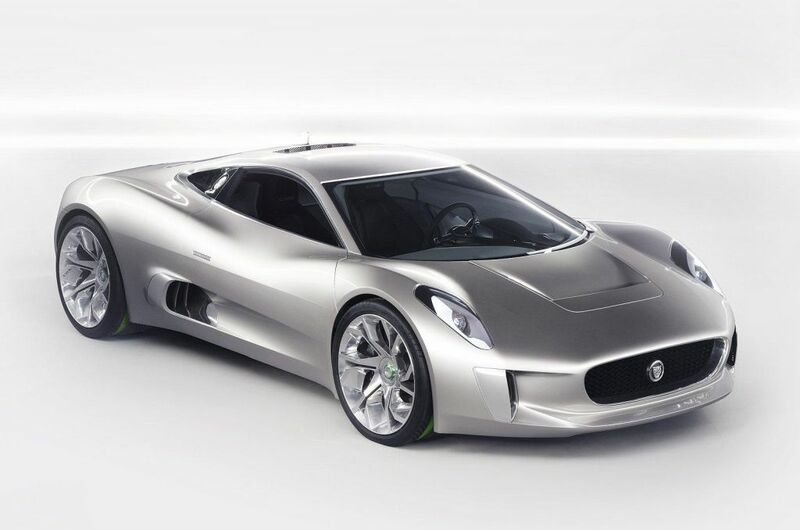 The C-X75 could crack 0-60mph in 2.8sec and promised 0-100mph in less than 6.0sec. An all-electric range of 60 miles was quoted.